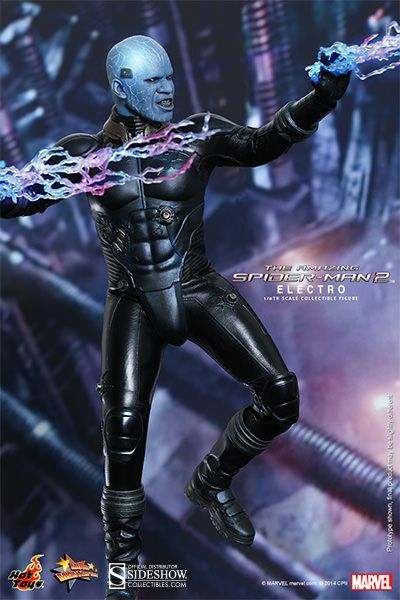 Originally an ordinary electrical engineer, Max Dillon has gained super powers in an accident and transformed into Electro, who is bent on killing Spider-Man! 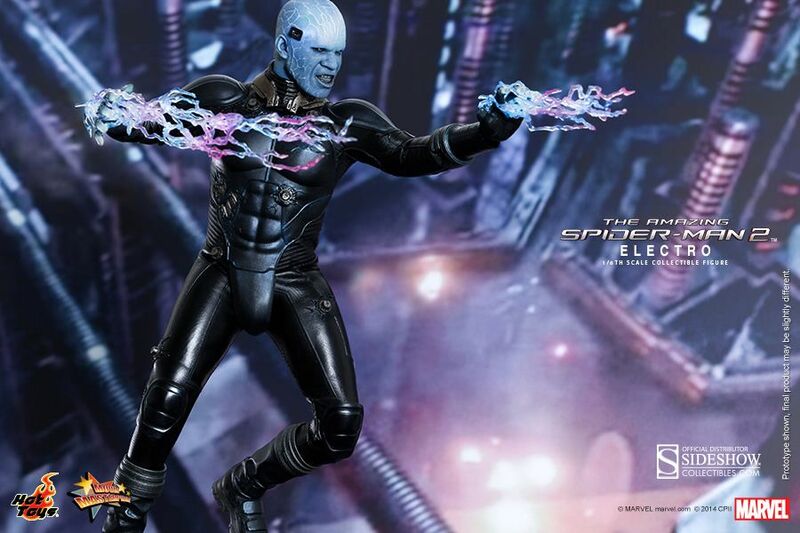 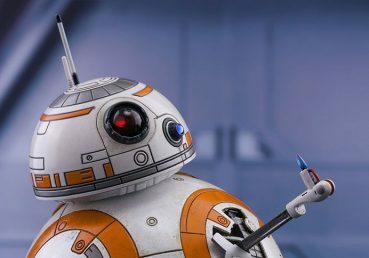 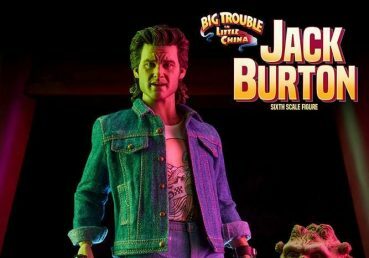 Sideshow Collectibles and Hot Toys are delighted to present the Electro sixth scale collectible figure from The Amazing Spider-Man 2. 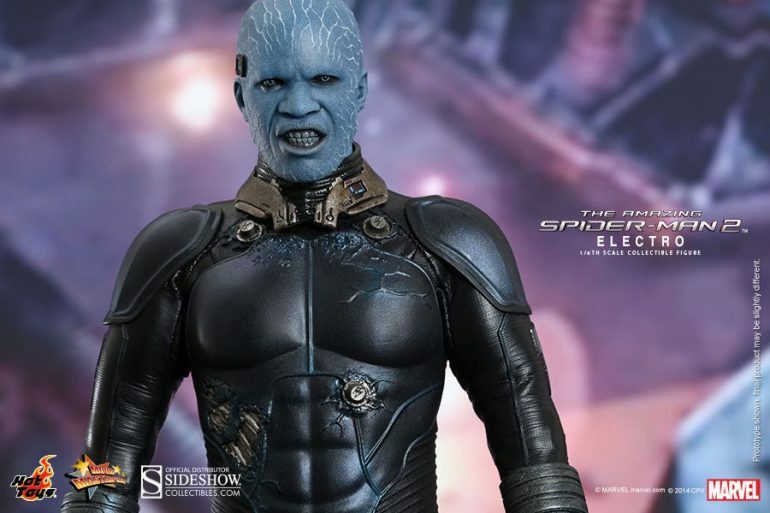 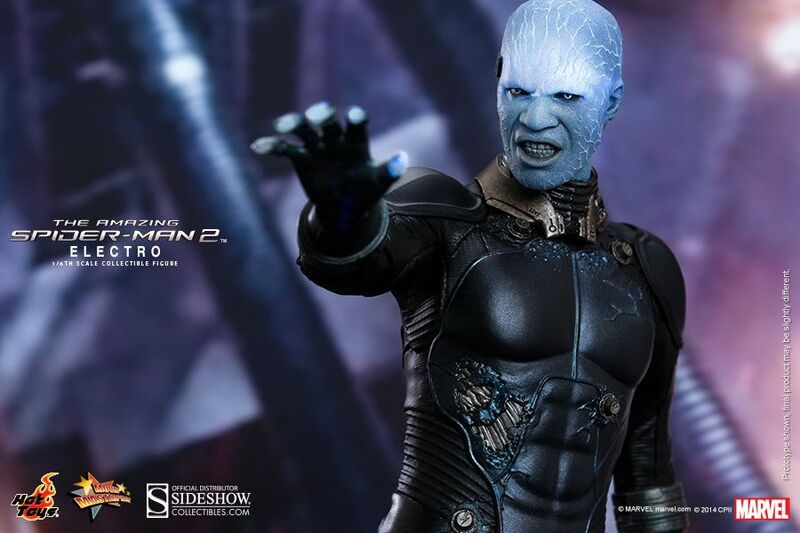 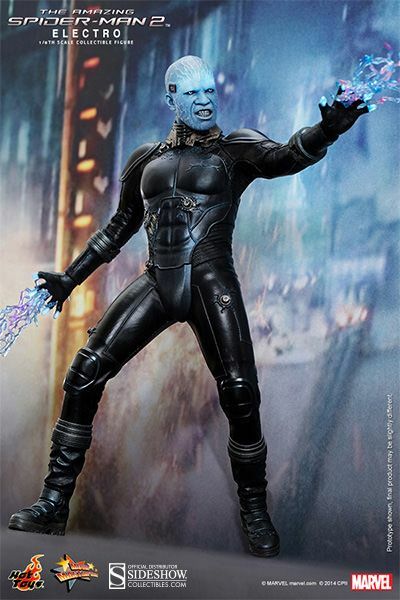 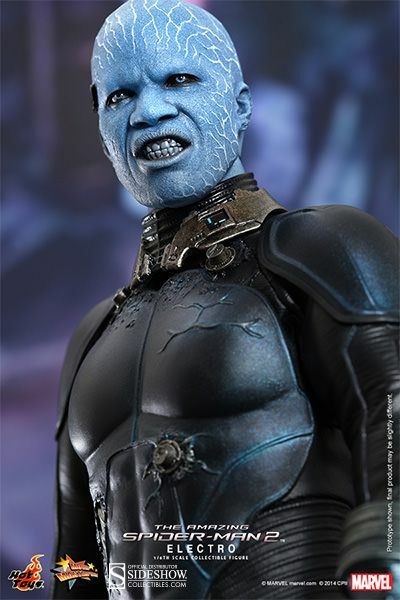 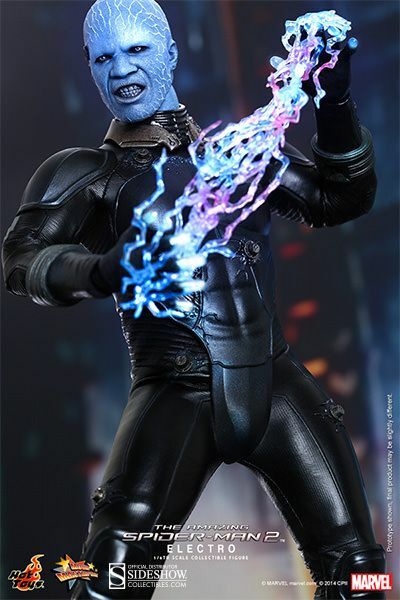 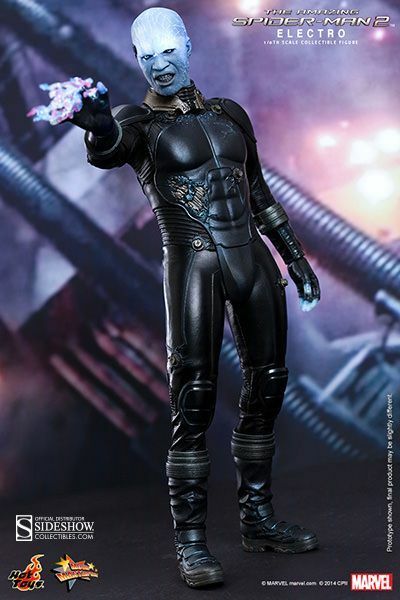 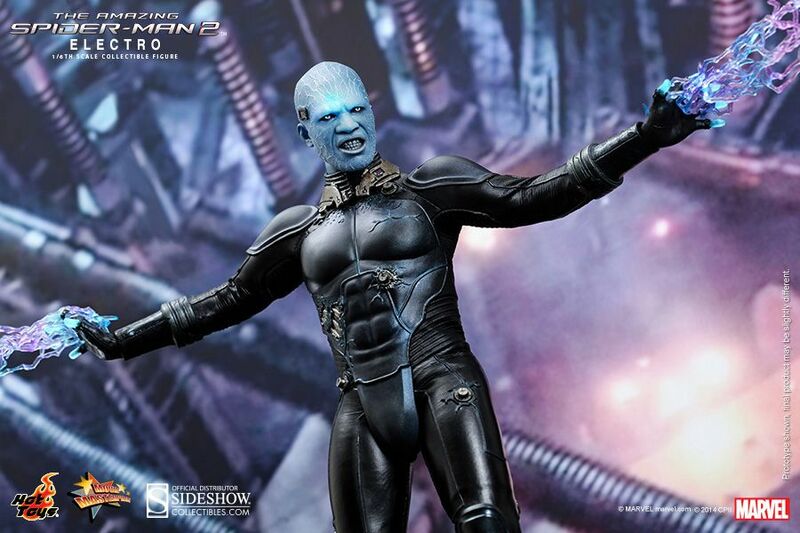 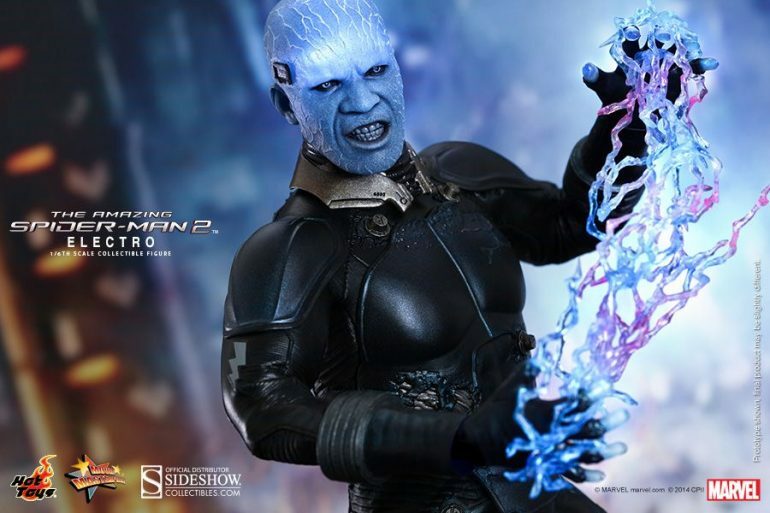 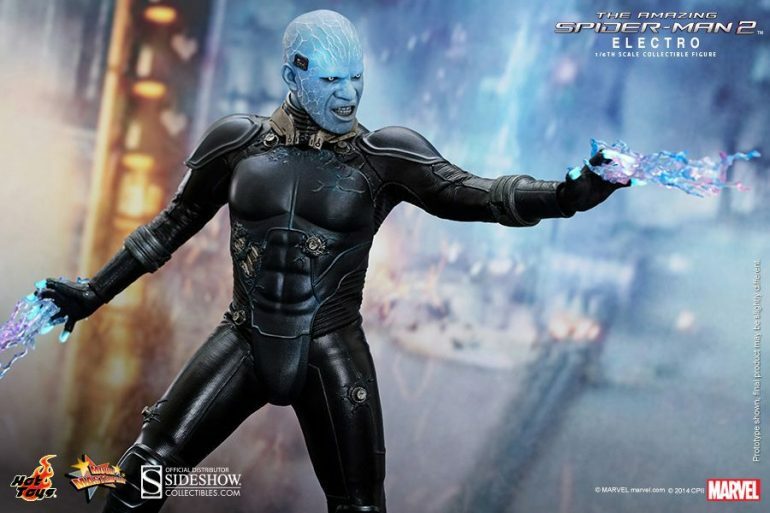 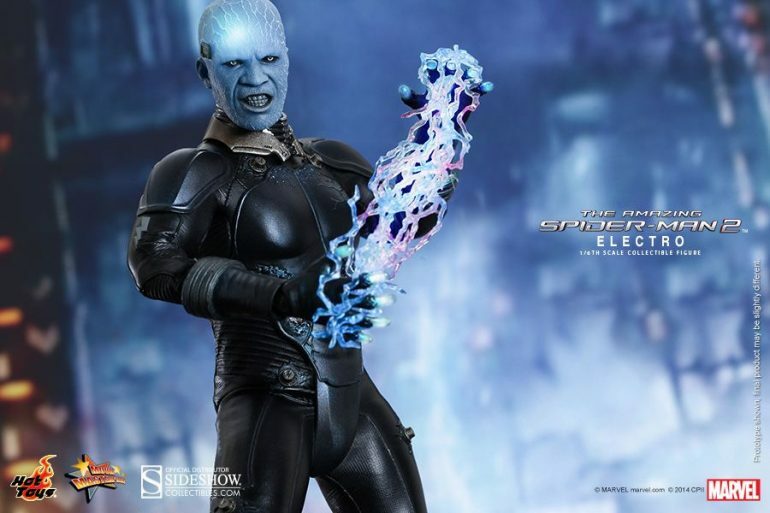 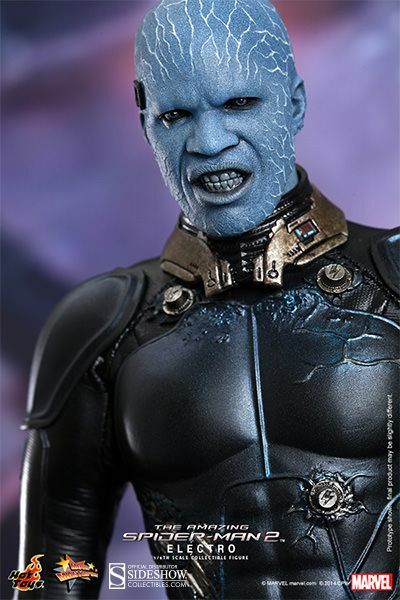 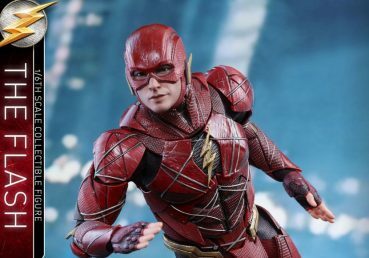 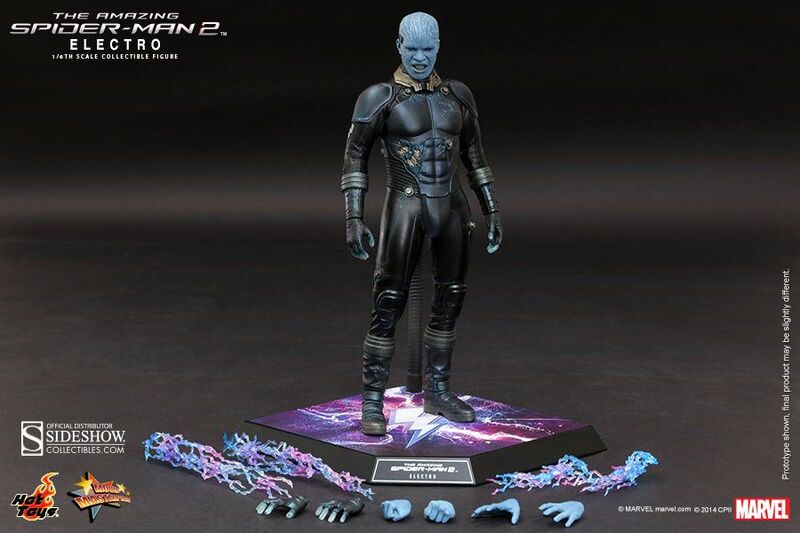 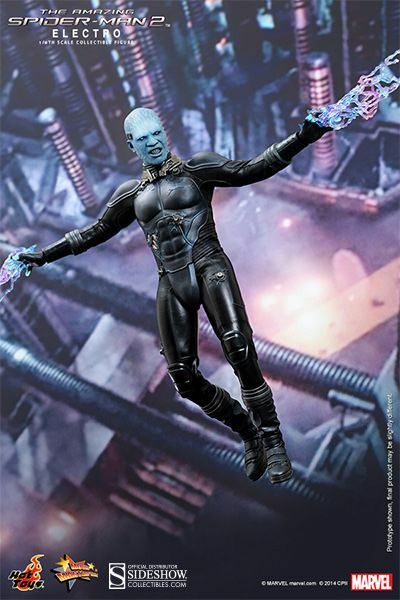 The movie-accurate Electro sixth scale figure is specially crafted based on the image of Jamie Foxx as Electro in the film, and features a detailed head sculpt, LED light up functions that capture the unique appearance of the villain, a highly detailed costume, and a dynamic figure stand ideal for aerial poses. 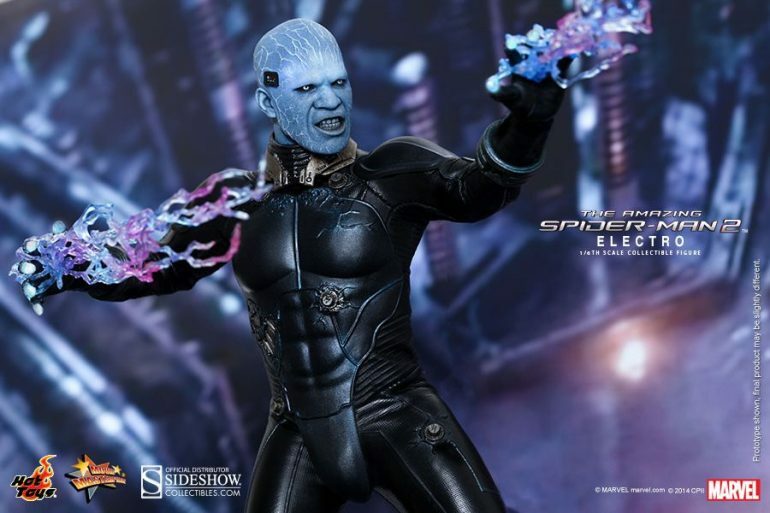 Fans of Spider-Man won’t want to miss the chance to pre-order this “electrifying” villain!